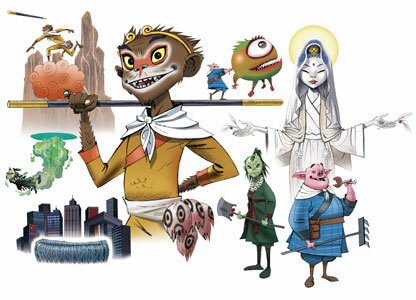 The animated feature I've been tracking the production of over the last 3 years is now out... for more info and some reviews visit the blog - http://theblogofkells.blogspot.com/ according to a report the film is already award winning! Brendan And The Secret Of Kells was the big winner at this year's Cartoon Movie in Lyon, winning best European director and best producer... Irish animator Tomm Moore was named best European director of the year for his feature debut Brendan And The Secret Of Kells which had had its world premiere in the Berlinale's Generation sidebar last month. In addition, the film's producers Cartoon Saloon, Les Armateurs and Vivi Film were voted as best European producer of the year. Turns out they have some great video resources in high quality for next to no money... well worth a visit! 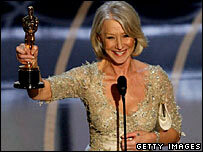 Congrats and all that to Helen Mirren and Forest Whitaker... but, I've never really got the Oscars... It all just looks to me like people being rewarded for doing something that they have already got paid the combined salary of Wales for, wearing clothes etc. that even though they are pretty much the only people who could actually afford them (the others being footballers, other US sportsmen and some musicians) they get given FREE, patting each other on the back as if they had saved the world! ...Ok I'm just a grumpy old man, but it all seems a huge waste of time and money to me! The first an incredible film, which I thoroughly recommend to anyone with a fairly strong constitution (at least in terms of graphic violence) Fernando Meirelles awesome and award winning "City of God"... the film records the rise of organised crime and gang warfare in the favellos (slums) of Rio. 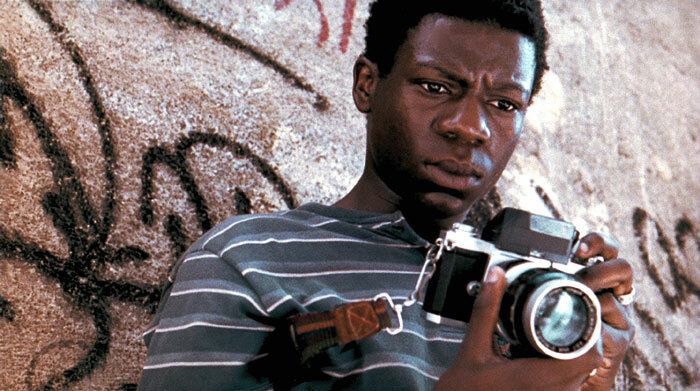 The story revolves around a young lad growing up in the heart of the slum who dreams of being a photographer. The young gangsters (circa 8-18) are played by actual residents of the Cidade de Deus, the vast majority had never acted before and the lot of them are superb, believable and even the most disturbed characters have a real human quality... which may well have grown from the actors real understanding of the situations and circumstances that turn children into non-chalont killers! The second film, well the least said about the drivel that is "The Da Vinci Code" the better (Lou made me watch it) suffice it to say that my 10 year old niece would have worked out that the globe linked with Newton was an apple before these so called academics... and the extra clue describing (rosy flesh containing seed - or something like that) might even have made it possible for Nathan to have worked it out! (sorry if I've spoiled it for you ;) ) Oh well, I'll give Ron Howard some credit it is a marginally better film than it is a book! On the other hand he did wimp out and put in some excretions at the end to pander to the religiously sensitive cinema goer... (just because Jesus may have fathered children doesn't mean he couldn't have performed miracles... and the suggestion that his descendants may also have divinity, blah blah blah)... if you haven't endured this, just don't bother it's rubbish from start to finish. 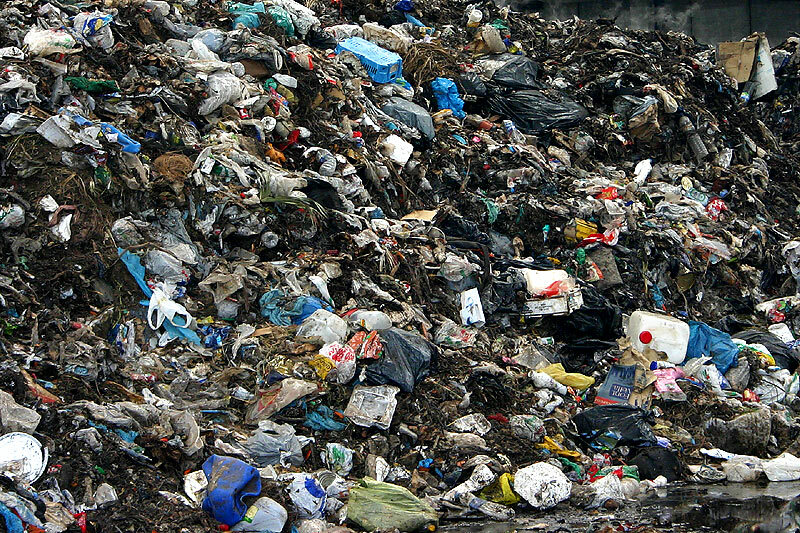 A big pile of Garbage! - describe why you might be called "emerging church"? - describe what "church" looks like for your church community? - describe what "mission" looks like for your community? They are just me in front of a camera doing the whole stream of consciousness thing... if you want to see them they can be downloaded here and here. ... Should you ever repeat something it if it so good first time round... oh, I don't know! For that reason my first response to the news that 1 Giant Leap two is 'deep in Post Production' was FANTASTIC! my second reaction was... Mmmmm not sure! But hey... I'm sure it will be good news... this time they focus on 'The Unanswerable Questions' - including "What happens when we die?"... cover circa 50 Global locations... feature a mass of voices including Noam Chomsky, Tim Robbins, KD Lang, Zap Mama, Susan Sarandon, Courtney Love, Daniel Lanois, Alanis Morrisette, Oumou Sangare, Rokia Traore, Lila Downs, Deepak Chopra, Stephen Fry, Douglas Coupland, John Cusack, and brain surgeons, drug smugglers, belly-dancers and preachers! A trailer is available here ... the password is "trailer1" it looks similar to the first album/dvd and will no doubt be as essential as that was/is! Coincidentally we used 'Masks' from the first dvd last Thursday! ... this is one of the best documentary series I have seen in a long long time... real "reality" TV! He has a great respect for indigenous peoples and is treated with great respect and affection because of it. Check out Endeavor's web site for more info... if you have missed it, the good news is series 2 is already in the can and series 3 is being filmed this year.